Pre-Planning Week is always bittersweet. On the one hand, it’s time to say goodbye to summer. Although that never gets easier, the anticipation of starting anew always seems to spark a feeling of excitement in teachers. And it’s a good thing teachers are full of energy and excitement. From staff development classes to preparing our rooms to planning for the first week, we rarely have time to catch our breath. The week is gobbled up very quickly and before you know it, it’s Friday! Making every minute count is a must during pre-planning week. Here are five ways to get the most out of every minute! How much time can I afford to spend on decoration? Does the classroom look and feel welcoming when I walk in? If not, what does it need? What information must be visible during the first weeks of school? Is there space on walls, etc. for me to add important information to later? Is there space for students to add to the look and feel of our classroom? Cover bulletin boards with attractive colors, but leave them blank. Students can add work later! Focus on organization over decoration. Add curtains, lanterns, or string lights. It’s okay to think of your classroom like you think of your home … It’s always a work in progress! Mix the Tried and True with the New – If you’re an experienced teacher, it’s not necessary to start from scratch each year as you plan for the first week of school. The first week plans you used last year and the year before may be old to you, but they’re new to your students! Instead, add fresh ideas without totally scrapping all of the old ones. That will save you valuable planning time. If you’re a new teacher, kindly ask for an experienced teacher’s first week plans. Chances are, she or he will be more than happy to share. If you’re lucky, several teachers may offer before you even ask! Make Copies Early in the Week – You know that feeling of forcing yourself to be patient and polite as you anxiously wait for the copy machine? That can totally be avoided! 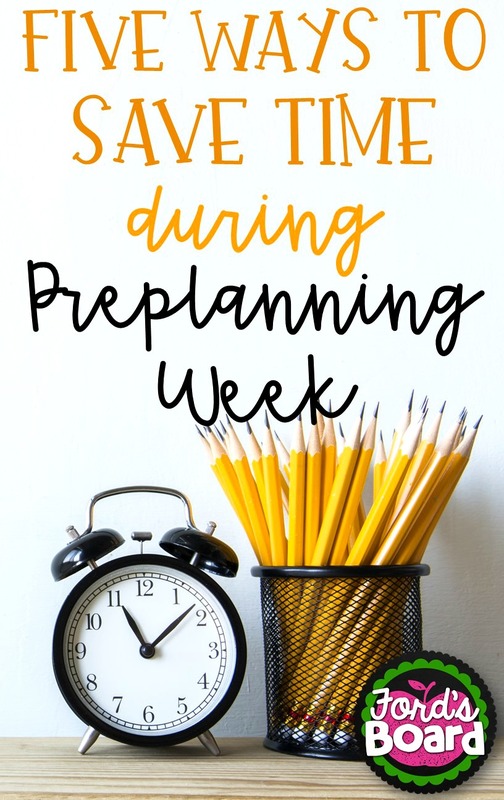 All you need to do is gather important school forms and the printables from your Tried and True lessons and copy those at the beginning of the week. Of course, there will always be something to copy towards the end of the week, but if you arrive a little early you can get it done in no time! Talk About it Later – Part of the fun and excitement of pre-planning week is catching up with teacher friends. It can also eat up a lot of time if you’re not careful. If you find yourself short on time because you’re constantly visiting or being visited, try scheduling lunch dates to catch up with friends, closing your door as you work, or doing your best to get as much as possible done before making a visit to a friend’s classroom. Prioritize Your Checklist – Having a checklist is great, but prioritizing a checklist is better! Look at what you need to get done. Think about what’s most important and time consuming. Do those things first, if possible. 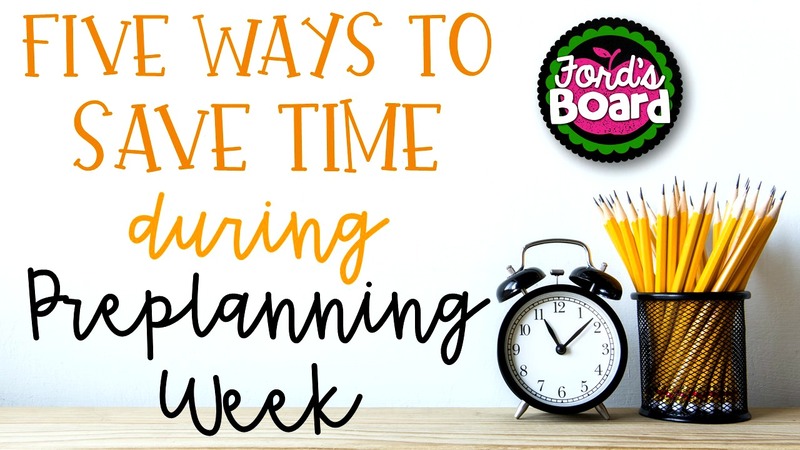 That way, by the end of the week you have completed the most important tasks and can spend the remaining time completing the least time consuming ones! I hope you have a positive, productive week!